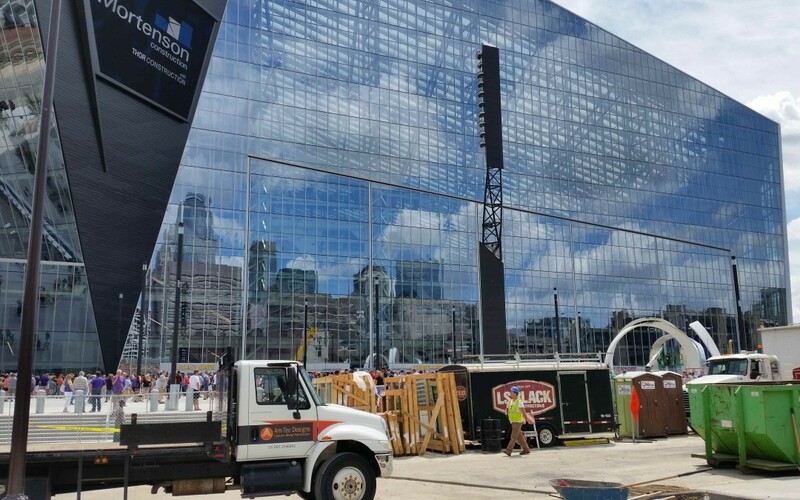 Am-Tec Designs, Inc. was proud to be a part of the US Bank Stadium construction project. 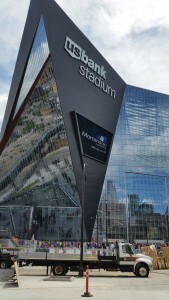 This commercial project included cable rails using stainless steel aluminum and galvanized steel. Am-Tec Design, Inc. completed the project on time and proudly uses only US made material. 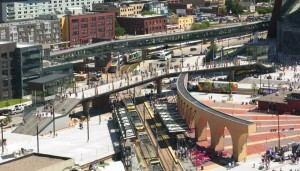 Here is a fun photo showing our guard rails on the pedestrian bridge. 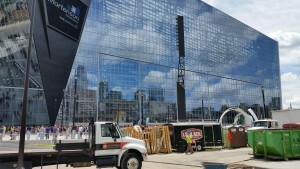 Am-Tec Designs, Inc. delivery truck at the new US Bank Stadium.